“Elephants are coming! 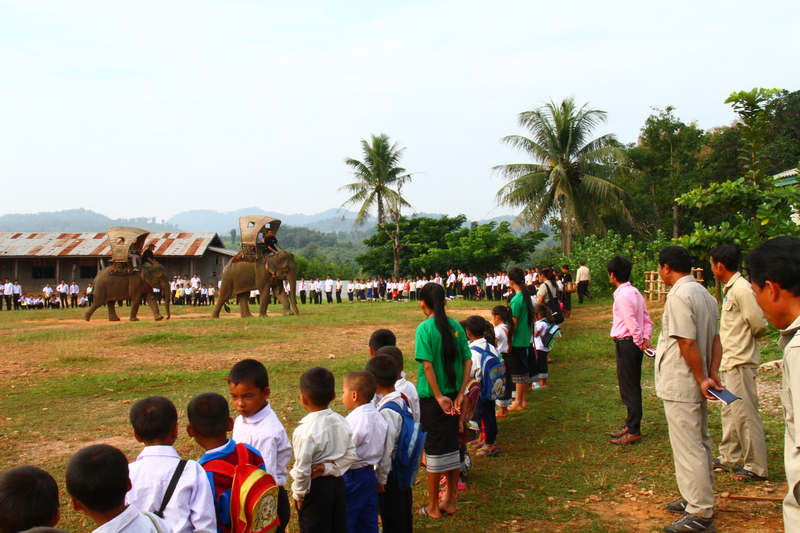 Elephants are coming!” Hundreds of young voices shout in chorus, the excitement palpable. But these are not just any elephants—they are four-legged libraries! In Laos, the Asian elephant has long been a national symbol. Since ancient times, the loveable giants have been extremely useful—from battlefields to agricultural fields—but now they’ve found a new home on the endangered species list. 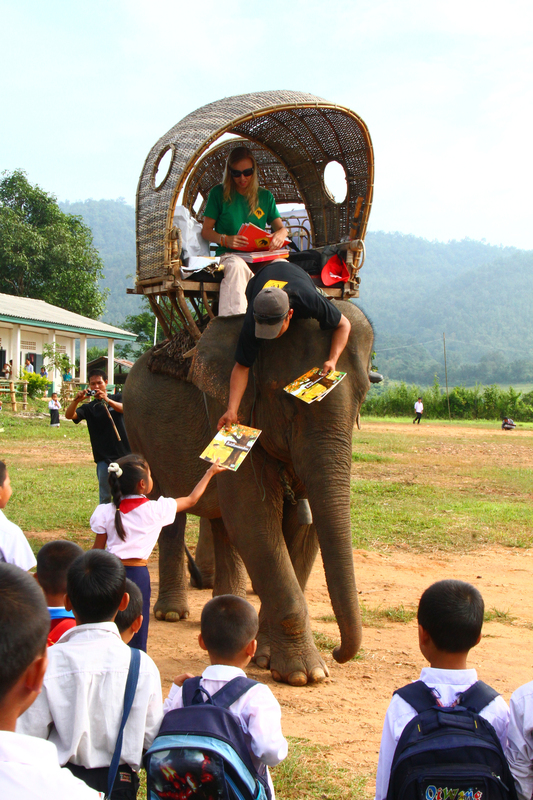 In an effort to both increase public awareness of the elephants’ plight and support literacy in rural communities, Room to Read Laos teamed up with two other NGOs (Action with Lao Children and ElefantAsia) as well as the local government to implement the first ever Elephant Mobile Library. 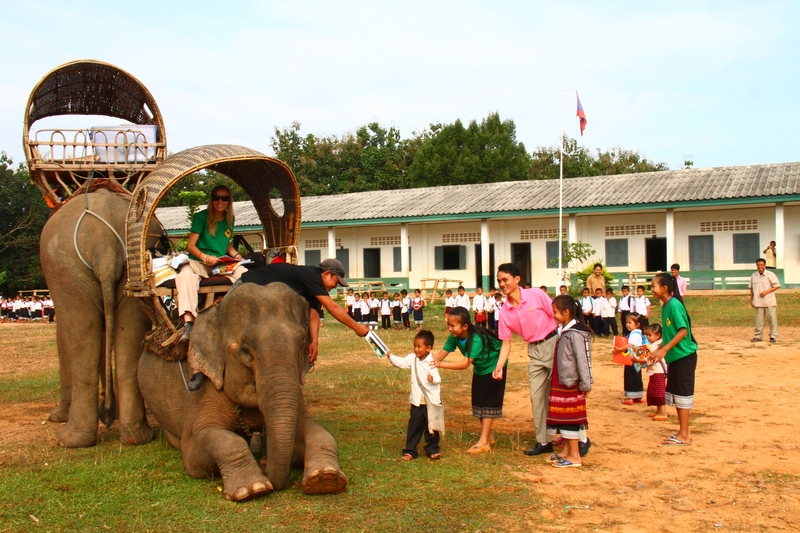 The perfect mode of delivery for remote communities, the Elephant Mobile Library has been an instant hit. 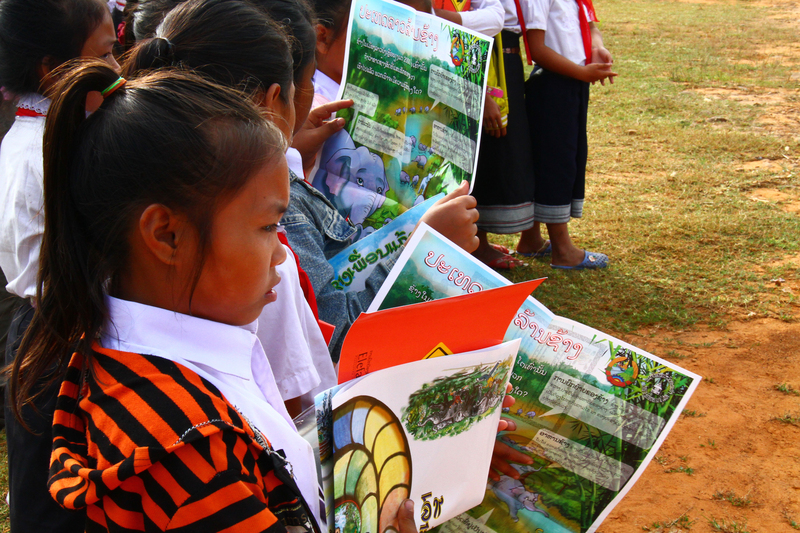 Stocked with 640 Lao-language children’s books (many featuring elephants) and supplementary educational materials, the library’s maiden voyage included four primary schools that serve more than 1,000 students in the northern province of Xaybouly. accepting a book from the “librarians” seated atop them. Learn more about our School Library program and other innovative in-country partnerships. Learn more about Room to Read’s programs and career opportunities by visiting www.roomtoread.org.